Steampunk heaven. No other way to describe it. 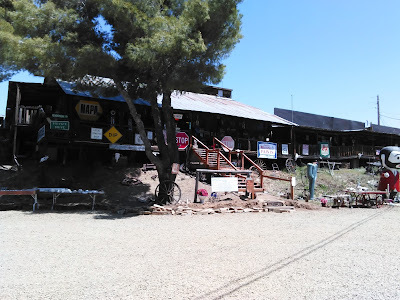 Smitty's Antique Museum in Mayer, Arizona (formerly known as Smitty's Big Barn of Antiques and Collectibles) looks like any other roadside knick-knack stop along the highways of America - from the outside. But once you step inside, it has the largest selection of some of the rarest, and highest quality, antiques I have ever seen. 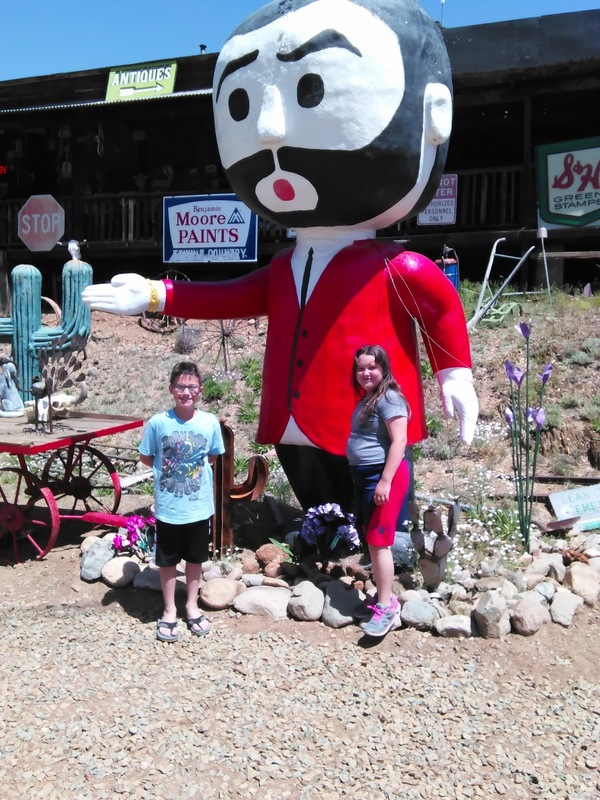 It is by far the best place in Arizona. I have never seen a collection of items so vast in my life. They put all the spoiled Richie Rich spots like Scottsdale and Paradise Valley to shame. 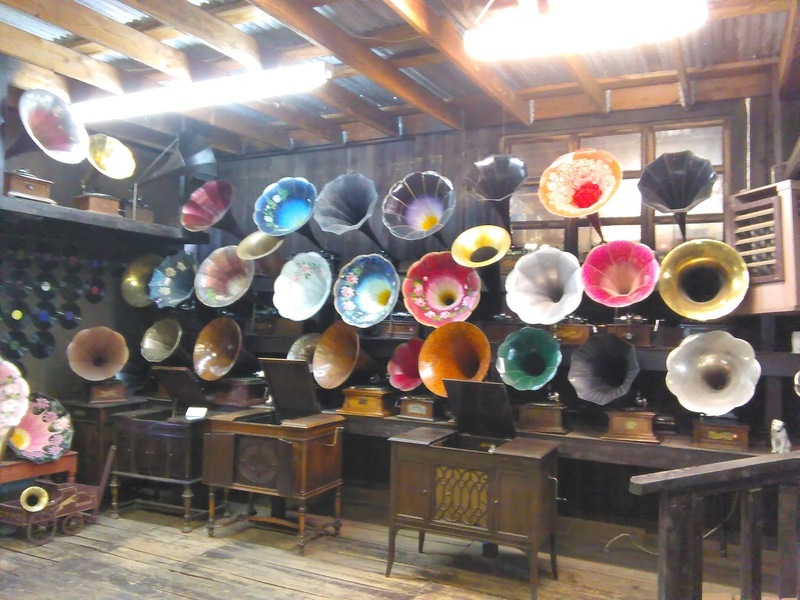 When I stepped inside the phonograph room I fell in love. And this picture is just of one half of the room. I couldn't fit the other wall or the ones beside me into the picture. And the host of upright record players in the front room. And the next room full of vintage radios that have to be around 100 years old. And all the Victorian furniture. I should have taken more pictures. Especially of the big collection of vintage hand-cranked wall phones and the giant, ancient, industrial switching board. It can be hard to see the exit from the highway, as Smitty's literally sits lower than the Big Bug Creek overpass. But they have some tables and chairs set up below the overpass next to creek (one with real, running water - something you don't always find in Arizona) which made for a nice rest stop and the kids loved looking for "cool rocks" and playing in the creek. 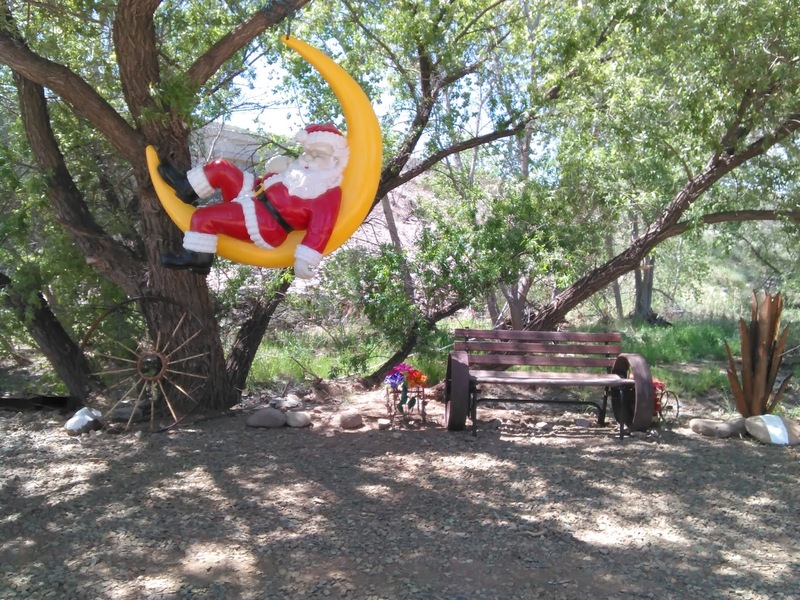 It's a hidden steampunk paradise that is only about an hour and ten minutes north of Phoenix. Even if you can't afford to buy anything it's well worth the day trip to pay them a visit a see all the incredible antiques they have. It is truly like stepping back into a bygone era. What REALLY happened to Doctor Steel?